The One Billion Tree Programme, which was officially launched at a function in the Canterbury foothills on 30 November, provides many opportunities for our members and our association. For our individual members there are the four categories of planting grants now available. The $1,500 per hectare grant for planting exotic species on non-forested land replaces the Afforestation Grant Scheme and is available year round. Two thirds of the $118 million allocated for the grants is targeted at native planting and regeneration. The three different categories covering mixed indigenous, manuka/kanuka and natural regeneration provide a lot of options and flexibility. As long as there is minimum of one hectare in area members can access up to $4,000 a hectare to help pay for planting. Additional funding is also available for fencing and ecological restoration work. Indigenous plantings can be part of larger schemes such as the plan involving Ngai Tahu and Lincoln University to provide a corridor of natives from the Southern Alps to Banks Peninsula. Partnering the Minister of Forests Shane Jones at the launch was the Minister of Agriculture and the CEO of Beef & Lamb. These two were there mainly, it seemed, to reassure farmers that the intention of the programme is to integrate trees into farming landscapes rather than replace farming with blanket planting of one species. It is in this area that NZFFA has a key role to play. Our branches can provide examples all round the country of how a mix of forestry and farming can work successfully for those land owners who have not previously considered trees to be part of their operation. We are currently exploring working with the likes of Beef & Lamb and others to apply for funding from the Partnership Grants in order to be able to provide advice and information for land owners. This would be a natural progression from the Trees On Farms work initiated by Ian Nicholas, Harriet Palmer and others. Te Uru Rakau are keen to encourage a diversification of productive land uses including less common practices such as indigenous forestry and continuous cover forestry. Our mid year Council meeting in Wellington on 16 November was well attended and councillors came prepared to consider what their vision for the NZFFA consisted of and how this could be achieved. 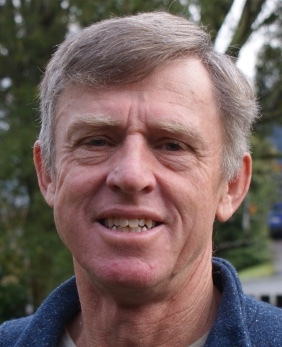 After robust debate and discussion, a final vision statement was agreed and a working group of six led by Howard Moore was appointed to work on developing a strategy which will be presented to Council at the conference at Rotorua in May. Once that is approved a business plan can be enacted and resources committed. and small, is aiming, taking in to account expected changes in technology, the wider environment and societal expectations. I look forward to seeing many of you at the Rotorua conference where you can help mould our association into a body ready for the next rotation, and experience the tree friendly climate of the Bay of Plenty.